Supportmark Ltd has structured it's approach to 'Make Giving Easy' into a series of campaigns. We are always looking for new products to carry a supportmark and start making additional contributions to the vital work to fight cancer. If you have a product and would consider being part of Campaign One : Making Cancer Yesterday's News, we would love to hear from you. If you have a different concern area you would like to support we will setup another supportmark campaign. 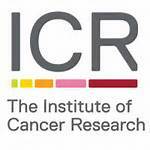 The Institute of Cancer Research, London, is one of the world’s most influential cancer research institutes, with an outstanding record of achievement dating back more than 100 years. Contributions raised through this campaign will go direct to the ICR to fund research to find new and kinder cancer treatments benefitting cancer patients worldwide.